Kazakhstan's Alina Solodukhina began weightlifting in 2017 and won a bronze medal at the Asian Paralympic Games in Indonesia last year. 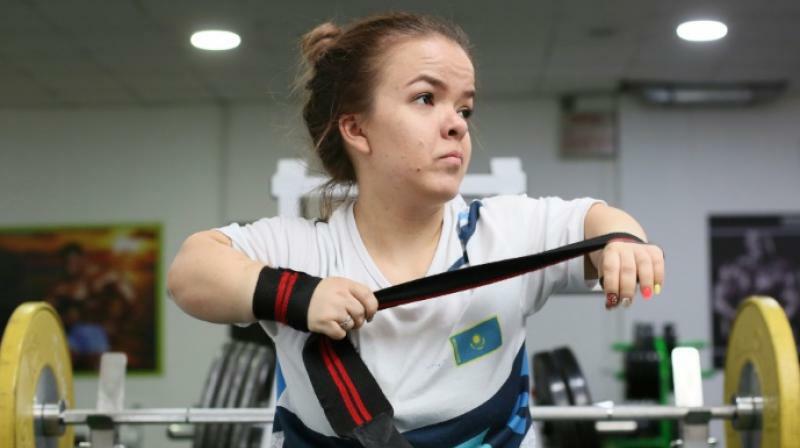 Almaty: In a gym in Kazakhstan's largest city Almaty, Paralympic weightlifter Alina Solodukhina's slight shoulders are feeling the strain under more than 60 kilogrammes of cast iron. Her success is symbolic of the ex-Soviet country's drive to brand itself as a new power in para sports, even though disabled Kazakhs encounter multiple obstacles in everyday life and progress to make society more inclusive is slow. "For the moment, all my focus is on this," the 25-year-old said of the World Para Powerlifting Championships the country is hosting this summer. A successful showing could help her qualify for the Paralympic Games in Tokyo next year. "My condition does not stop me doing what I want to do. But for wheelchair users, life is far more difficult," she said after a training session taking in bench presses, weight machines and a stint on the treadmill. I would not say (Kazakhstan) has excellent conditions for them." But the overhaul of the Soviet approach to disability that saw handicapped people live in isolation from society has been plodding. "Just getting out of the house is hard enough," said wheelchair-bound activist Zhaslan Suleimenov. Suleimenov, 42, who is based in the capital Astana, recently renamed Nur-Sultan in honour of the country's first president Nursultan Nazarbayev, faces multiple barriers to social integration. Conditions, particularly for disabled prisoners, were "terrible", he said, a factor that motivated his activism. "That place is on the other side of the river. Reaching it would be a struggle for me," said Suleimenov. After several failed attempts, Suleimenov asked a man nearby to lift him out of the wheelchair and place him on a chair taken from the organisation's office to make the journey down to the ground floor. "We have to hope for the help of passersby," he said after one loaded him onto a bus home. The World Para Powerlifting Championships is another opportunity, which also stresses an attitude towards inclusion. In 2016, Nazarbayev ordered that bonuses for Paralympic medal winners match those of their Olympic counterparts.